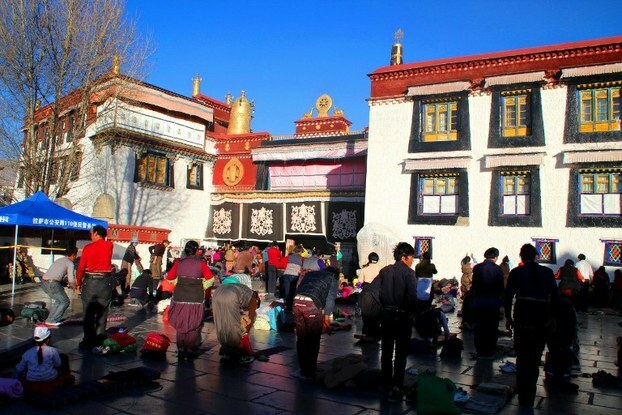 (TibetanReview.net, Feb03’19) – The Chinese government of Tibet Autonomous Region (TAR), the western half of ethnographic Tibet, has said it had exposed and punished party officials for having religious belief or for alleged involvement in separatism or corruption. The allegations were contained in a 46-minute video produced by the publicity department of the regional commission for discipline inspection of TAR and Tibet television, reported China’s official globaltimes.cn Feb 1. The report said the video, part of a four-episode series featuring the region’s efforts on anti-corruption and regulating Party members, was aired from Jan 28 to 31 on Tibet television. The move was stated to be in keeping with a nationwide campaign to strengthen Party management which regulated 46 types of violations by local CPC members, including religious beliefs. It was not clear how many party members were exposed and punished for what specific violations, although the video was stated to reveal the total to be 215 people as of Oct 2018. The report accused some “two-faced” people in Tibet of claiming loyalty to the Party while secretly sympathizing with and even working for separatists. No names were mentioned, nor type of actions amounted to working for separatists. The report only cited Xiong Kunxin, an ethnic studies professor at Tibet University in Lhasa, as saying the regional government had already identified these people so it was strengthening its regulation to kick them out. The video was stated to tell of a story in Zaxizong village in Nyalam County, Xigaze, where in 2016 Nyalam police reportedly found some “politically forbidden objects” in a cave in the village. The report implied that they were objects of religious worship and that some village officials, including the Party chief of the village’s CPC branch, had participated in worshipping these illicit objects. It added that some people had been hiding “illicit objects” in the cave since 2009. The report said the case led to three CPC officials being expelled from the Party and 10 others receiving a warning. The report noted that the Regional commission for discipline inspection had established an office in 2018 to supervise Party discipline.